Our thyroid gland also produces a hormone called calcitonin, which affects our blood calcium level. Thyroid hormone production is governed by our pituitary gland in our brain through TSH (thyroid stimulating hormone). It happens when we have too much T4 or T3 circulating in our blood stream. The T4 or T3 can be overproduced by our thyroid glands either on its own, or because it's overstimulated by too much TSH circulating in our bodies. 1) Grave's disease. Most common cause. Typical symptoms are bulging eyes and swelling over skin. Happens when our body's own immune system attacks the thyroid tissue and cells. In this disease, our body makes an antigen called TSI (thyroid stimulating immunoglobulin) which mimics the TSH and causes our body to make too much thyroxine. 2) Thyroid nodules growing in 1 or more lobes of the thyroid gland. Adenoma - benign thyroid nodules. Don't produce hormones. Toxic adenoma - overactive thyroid nodules that produce excessive hormones. Toxic multinodular goitre - multiple nodules which are overactive. 3) Thyroiditis. This inflammation of the thyroid gland causes the thyroid hormones to leak out of the gland into the bloodstream. 4) Eating too much iodine, e.g. from medications like amiodarone for heart rhythm irregularities, certain cough syrups, seaweed supplement. Carbimazole suppresses the formation of thyroid hormones by the thyroid glands. 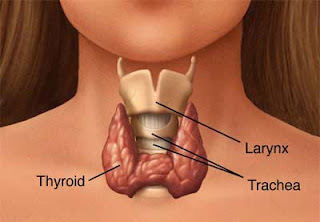 The thyroid gland needs an essential element called iodine to produce T3 and T4 hormones. Before iodine can be used, it needs to be converted into usable form. This drug prevents iodine from being converted into usable form. Less thyroid hormones can be manufactured as a result. Side effects of Carbimazole include nausea, vomiting, skin rashes, headache and sometimes reduction of white blood cells. Unfortunately, Carbimazole doesn't really address the root cause, which is the rectify the thyroid glands. It destroys a part or all the thyroid glands so it won't produce too much T3 and T4. The most common side effect is hypothyroidism, as well as metallic taste in the mouth, nausea and swollen salivary gland. Pregnant ladies and breast feeding women cannot take this treatment. If you have existing eye disease from Grave's disease, it may be aggravated. Remove the thyroid gland, when the goitre is swollen and affects the breathing. Care must be taken as the surgery will affect the vocal cords if it is not done well. The patient would have to take hormone replacement drugs for the rest of his life. For info on the "opposite" problem, check out this article What are the Symptoms and Causes of Hypothyroidism. 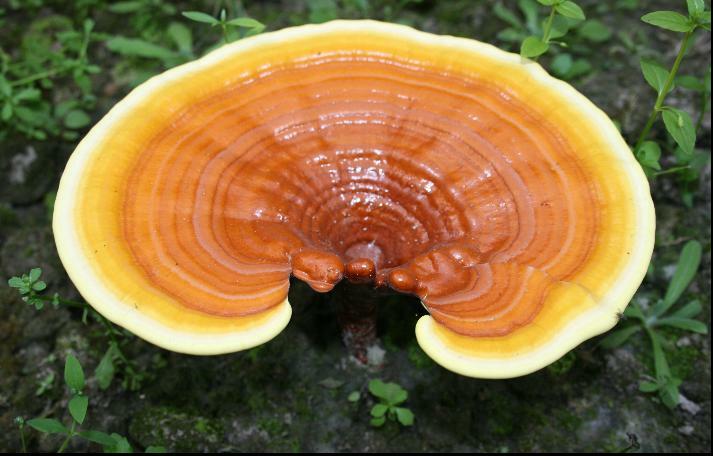 Lingzhi/ganoderma is well-known for its ability to regulate our body functions. Hence lingzhi is sought after as an effective solution to control hyperthyroidism condition to bring it back to normal. Click on this link to understand how Lingzhi regulates our immune system. (i) For hyperthyroidism caused by auto-immune system diseases (AISD), Lingzhi helps to modulate your B-Cells so they do not over-produce antibodies (because excess antibodies may attack the thyroid glands, thus increasing the production of T3 and T4). (ii) Lingzhi also helps calm down our nervous system and reduce stress level, one of the main culprits of AISD. (ii) Lingzhi regulates T3 and T4 cells so the thyroid level is normalised. Depending on the seriousness, thyroid problem is not difficult to manage. 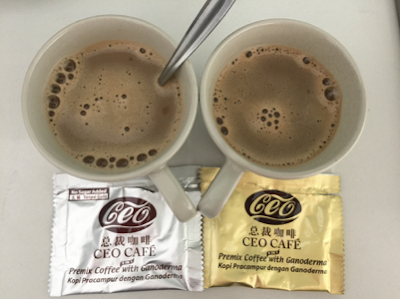 Generally, taking only 8-12 capsules Yung Kien Ganoderma a day for 4 months will give significant improvement. Please email me askfuiping@gmail.com to buy.